My First Cycling Tour - MANALI to LEH... 8 days, 480 kms - Cycling over high altitude mountains, continuous UP slopes, uncertain weather, high speeds and the biting cold winds in the face gave a sense of feel which is hard to explain. Greeneries, Mountain passes & Glaciers - a visual treat, Crazy ride in fog, rain, snow showers, and hot sun in bad roads with high altitude sickness and inadequate oxygen, sleepless nights in Swiss camps & shared camps with no network. It was a tiresome but an exciting & an amazing ride. It was really challenging both physically and mentally & understood one has to be well prepared for it else you have to push yourself so hard. We enjoyed a lot and suffered too where Climate being the sole reason for both. 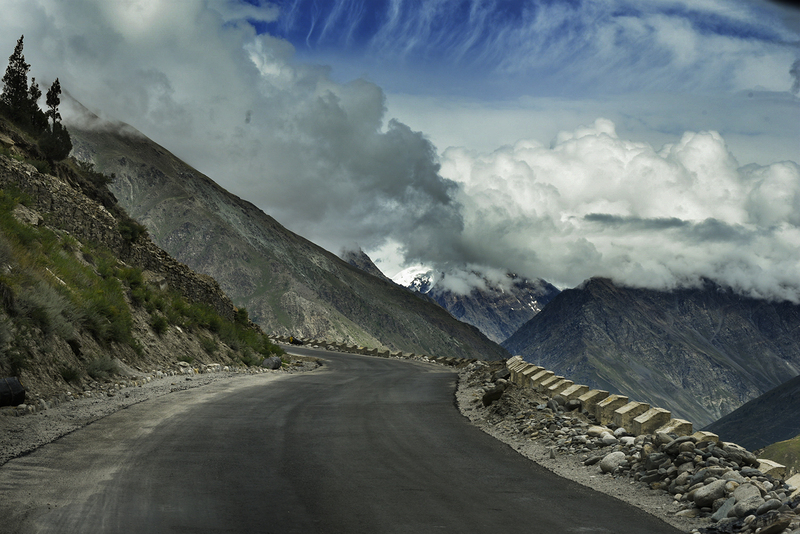 It is surely a much satisfied trip to be cherished forever. 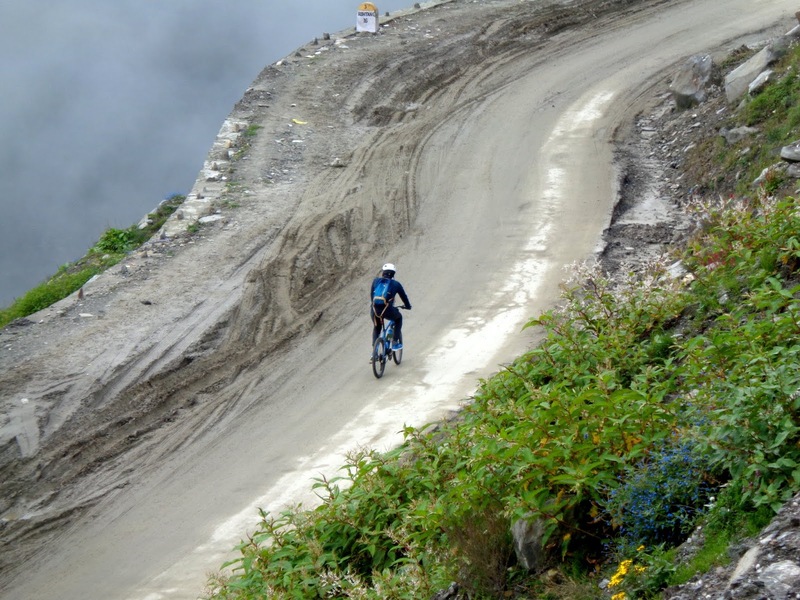 Day2 - Cycle Ride Distance: 75 km from Manali to Rohtang La – Spiti valley towards Sissu. 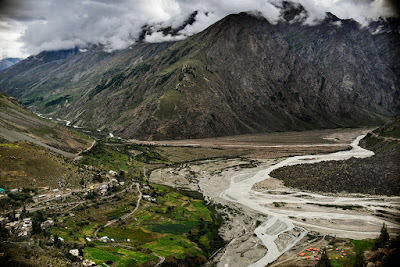 Day3 - Cycle Ride Distance: 70 km ride along the River Chandra and Bhaga starting from Sissu to Patseo via Keylong and the beautiful valley of Jispa. 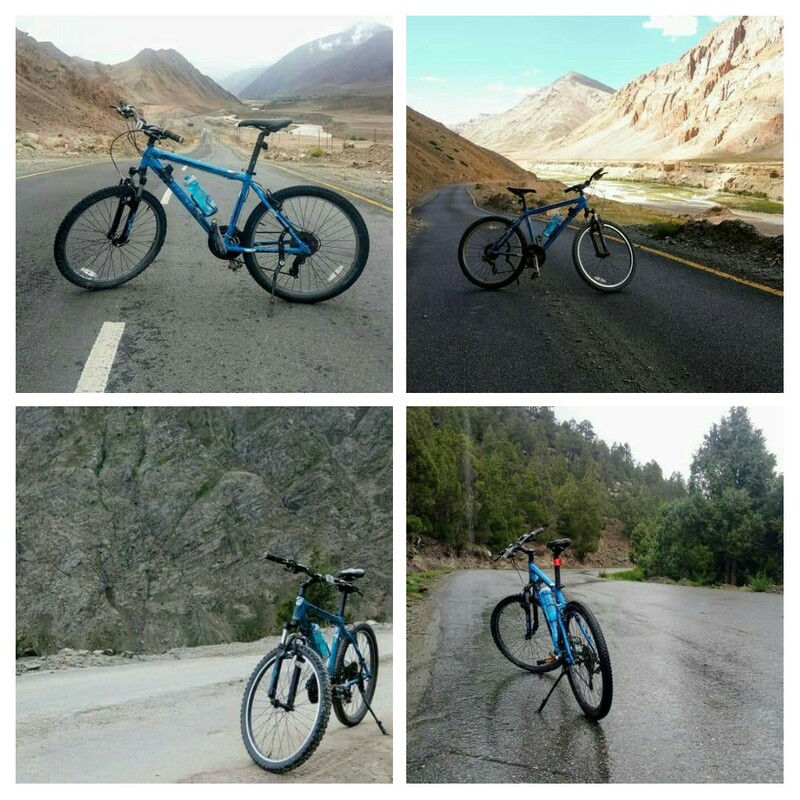 Day4 - Cycle Ride Distance: 57 km Baralacha La glimpse of the Mountain Desert > rolling terrain to Sarchu. 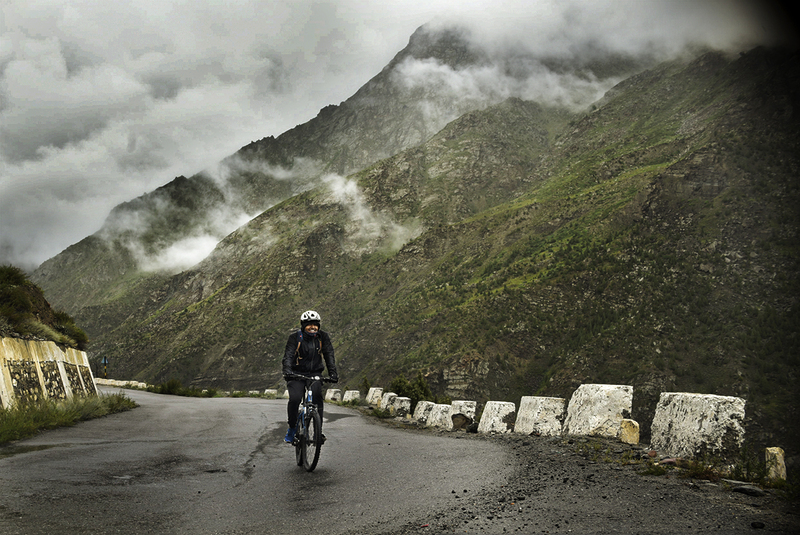 Day5 - Cycle Ride Distance: 81 km Riding along the Tsarap Chu we enter the state of J & K, Gata Loops. Day6 - 60 km A stretch of 43 km @ 15,800 ft Tso Kar’, a salt lake situated in the 'Rupshu Plateau. 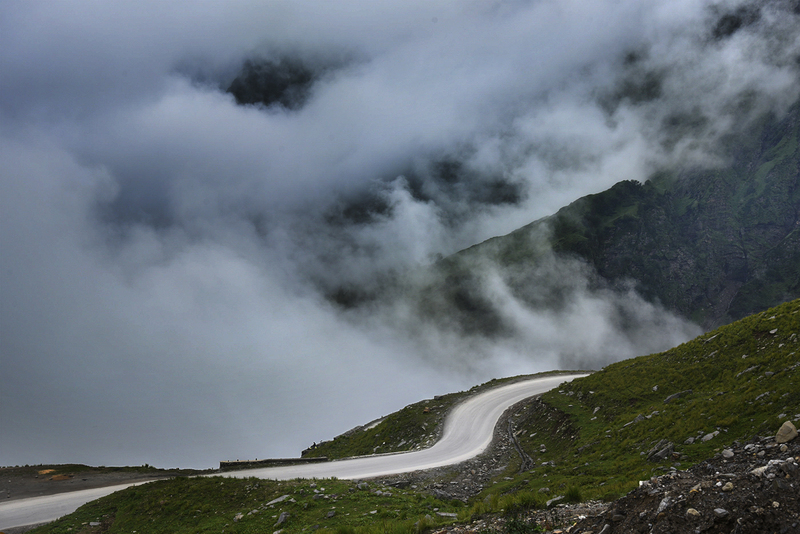 Day7 - 2nd highest Pass in the world ‘Taglang La’. Day8- Riding along the River Indus we ride from Lato/Upshi into the main town of Ladakh ‘Leh. 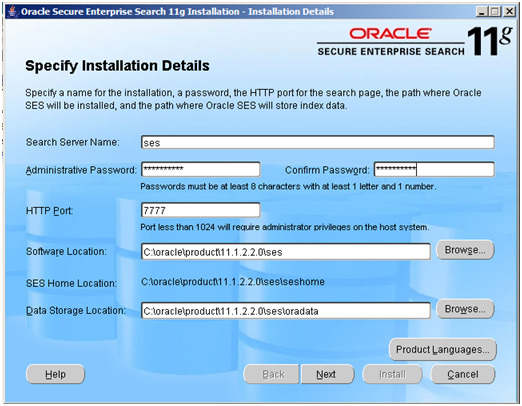 Oracle Secure Enterprise Search is a product integrated with PeopleSoft uses PeopleSoft Search Framework to integrate and communicate with PeopleSoft. PeopleSoft Application Version 9.2 onwards, configuring the PeopleSoft Search Framework and Oracle SES is required as Verity is no longer supported from PeopleSoft application versions 9.2. If the loopback adapter is installed, its settings are displayed as below. By default, the IPv6 protocol is enabled on Windows Server 2008. Under some circumstances, this may lead to the failure in starting up the WebLogic Server middle tier. Hence it is suggested to disable certain IPv6 components, except the IPv6 loopback interface, on Windows Server 2008. Right-click setup.exe in the ses_11_1_2_2_0_windows64 folder of the extracted files, and then click Run as administrator. The Installation Details page appears as below. The installer will now install Web logic Server as the web server hosting SES and Oracle Database 11g EE to store the search indexes. After the installer finishes you will be presented with the summary screen containing three URL’s. At the completion of the install you get a window that displays some URL’s copy them off to keep.To get URL àIn cmd window, navigate to SES_HOME, give ‘searchctl.bat status’ command. Choose tab Global Settings and then click on Federation Trusted Entities. This Entity Name and password are configured for inbound connections to SES and will be configured on the PeopleSoft side. Enter an Entity name and provide a password. This does not need to be the password you supplied during installation of SES, but note this password; you will need to supply it in PeopleSoft later on. The Identity Plug-in and Authentication Attribute options are left blank for this configuration. Click Add and go back on the Global Settings tab, choose the link Identity Management Setup. Select Plug-in PeopleSoft from the list and click on the Activate button. 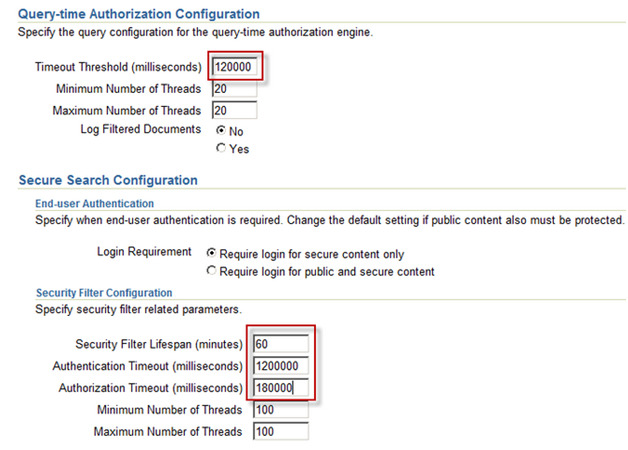 The plug-in that you activate is responsible for all authentication and validation activity in Oracle SES. On the next screen enter the PeopleSoft Integration Broker endpoint and userid and password of the default local node. The User ID and Password here is a PeopleSoft user that has the ‘Search Framework Administrator’ role or permissions lists assigned. Click Finish and go back to the Global Setting tab choose the link Query Configuration. Change the timeout settings as shown above from the default values. You should define your Gateway Default App Server and PeopleSoft Nodes in the Gateway Setup properties. Verify that your Service Configuration is correct. Confirm the Web Services Target Location references the correct URL for your system. 7. Configure Content RI and Portal URI text specified on the portal tab for the default Local Node you are working with. This is required, and you may get an error building your search index without it. You should also verify that the Service Operations needed for SES integration exist in your system. 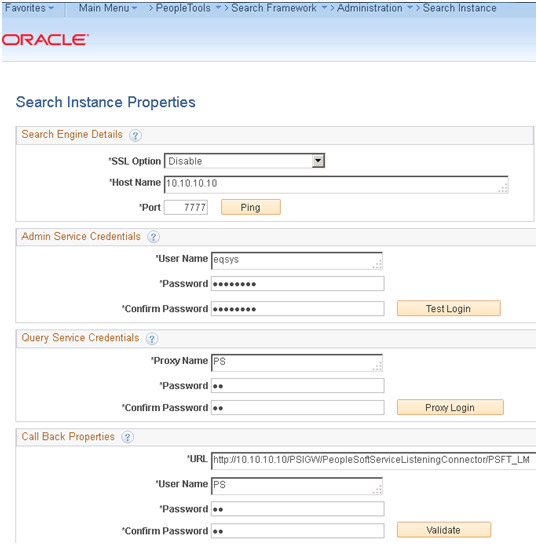 ADMINSERVICE and ORACLESEARCHSERVICE should both exist as Services. First thing you need to do, is to assign the Search Framework roles (Search Administrator, Search Developer, Search Server) to the user that is assigned to the default locale node. Verify that required permission lists (PTPT3100, PTPT3200, and PTPT3300) are present on role PeopleSoft User. Now navigate to Main menu –> PeopleTools –> Search FrameWork –> Administration –> Search Instance and create a Search Instance. Click Step 1: Ping Test. This should also work if your previous tests worked. Once the Ping Test comes back it should make Step 2: Deploy an active link. You should be able to continue through to Step 4: Search and everything should work. Now you have successfully completed the installation and configuration of the integration between SES and PeopleSoft. You now have to ‘create search collections in PeopleSoft ‘and ‘feed these collections to SES’. 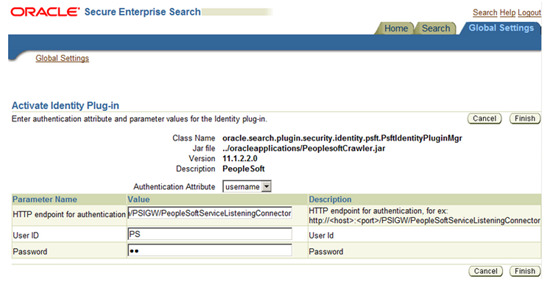 PeopleSoft Search Framework uses PSQuery and Connected Query as search collections. 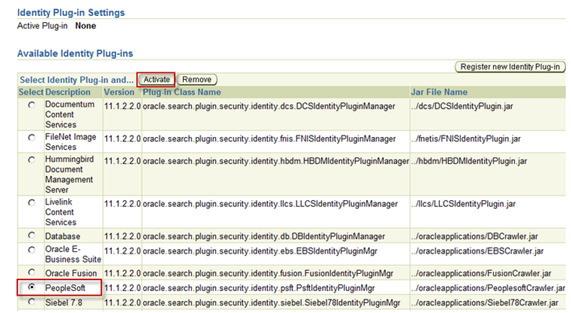 Some search collections have already been supplied with the Feature Pack (Eg: HCM 9.1 FP2). If not you will have to create a Query and create a Search Index with the Query as input and then choose which Query fields should be indexed as keywords. Search definitions are created and maintained in PeopleSoft. Once the definition is deployed, we run the Application Engine PTSF_GENFEED via the Schedule Search Index page. This AE will create a special SES feed in PeopleSoft and schedule the SES crawler to crawl the feed. Navigate to Main menu –> PeopleTools –> Search FrameWork –> Administration –> Deploy/Delete Object. Scroll to the bottom of the list of Search Definitions and select PTPORTALREGISTRY and click deploy. Once successfully deployed the Deploy Status column will say Deployed. Next we build the index data (the feed) and tell SES to crawl the data. In order to do this we run the Schedule Search Index job as previously mentioned. Navigate to PeopleTools –> Search Framework –> Administration –> Schedule Search Index. 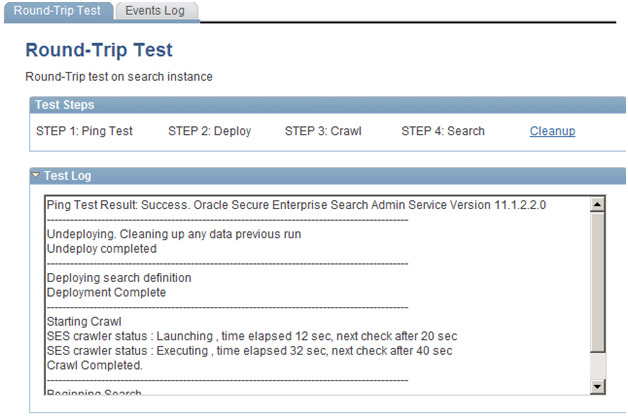 Create a run control for each search index you want to publish to SES. Select PTPORTALREGISTRY as the search definition and select Full index for the Indexing type. If you use the lookup it will only return deployed search definitions. I left Language Option on Base Language as I only have one language available. Click Run. You can then schedule this and check process monitor to verify it completed successfully. This is to keep SES and PeopleSoft in sync. 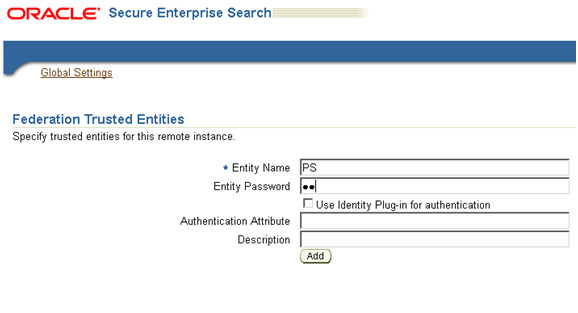 Once the job is completed, login to SES and go to the Sources tab of the Home tab. You should see your search source, and then click the schedules tab; you should see that the index build was schedule for a one time run. In the 9.2 applications certain functions won’t work until you’ve deployed the Search Definition and built the Index. It will throw an error like below screenshot. Now you have seeded SES with PeopleSoft data. 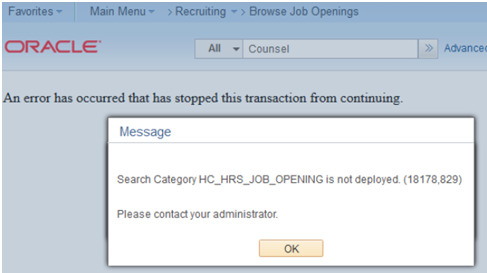 You now need to enable the search feature in PeopleSoft. This can be done on two places. To enable Global Search navigate to Main menu –> PeopleTools –> Portal –> General Settings and check Display global search in header. This will enable the embedded search in the portal banner. Make sure users have search indexes assigned through permission lists; otherwise they will not be able to run searches. This is a new tab in the Permission lists page in People Tools 8.52. To enable Keyword search on Component Search pages, open the search index by navigating to PeopleTools –> Search FrameWork –> Designer –> Search Definition and on the last tab select the components where you want to add the Keyword search. This will change your search page with a new tab enabling Keyword Search. Whenever a maintenance activity is scheduled, we use to publish message in the sign on page to intimate the users rather than sending mails. I remember every time an activity is scheduled, the login page HTML file (signin.html) residing in web server needs to be edited, which requires a minimal knowledge of HTML scripting. Moreover web server bounce is required to get the changes reflected in front end. Guys using People tools 8.51 and later don’t need to worry about this, as there is a new feature with tools release 8.51 onwards where we have an option to configure display message via PIA itself and it does not require any code changes. 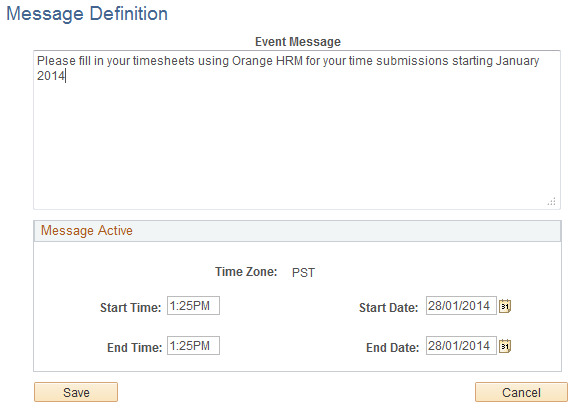 In a single stretch you can create list of messages and you can set the time frame to display that specific message. Click on the plus button to create new message and View/Edit hyper link to edit the existing message. Once you click the plus button, you will find a space to post your message and also you can find an option to specify when and how long the message should be displayed. 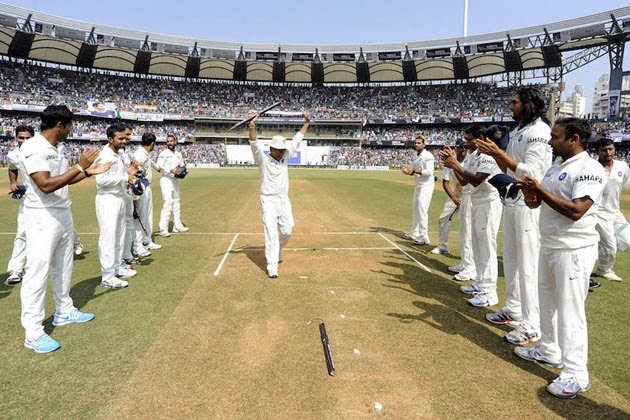 Never seen such an emotional farewell speech from a sportsman. 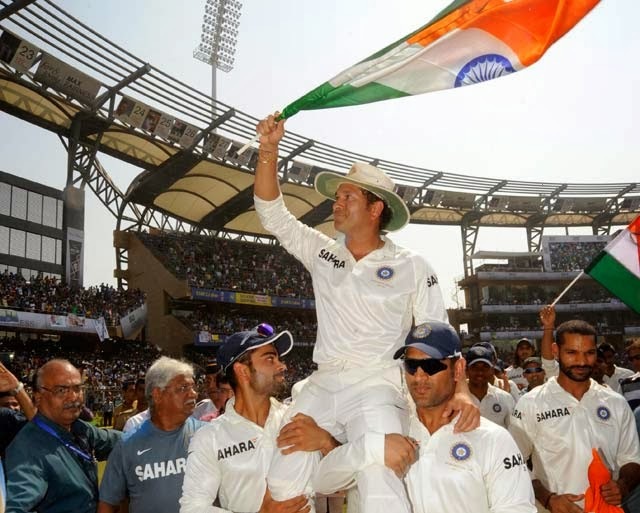 Sachin Tendulkar says goodbye with tears, emotional fans scream thank you. 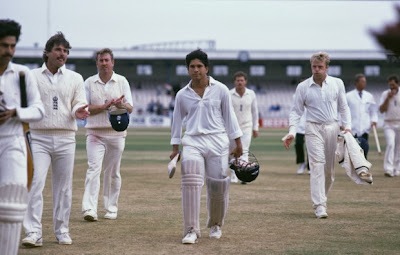 Wife Anjali said Sachin Tendulkar was good at hiding emotions, but not this time as he could not control his tears. Sachin Tendulkar was chosen for the prestigious Bharat Ratna, the country's highest civilian award. He is the first sportsperson and the youngest recipient of the award till date and he truly deserves it. Salute to the Master for all the entertainment provided for 24 years. LEGENDS NEVER RETIRE from the hearts of People. Anarco Jogos - Gamers are Here! Backdrop A Hot Report ! Bluetooth - A Hot Report ! This blog is a personal blog written and edited by me. The compensation received may influence the advertising content, topics or posts made in this blog. That content, advertising space or post may not always be identified as paid or sponsored content. The owner of this blog is compensated to provide opinion on products, services, websites and various other topics. Even though the owner of this blog receives compensation for our posts / advertisements, we always give our honest opinions, findings, beliefs, or experiences on those topics or products. The views and opinions expressed on this blog are purely the blogger’s own creation. Any product claim, statistic, quote or other representation about a product or service should be verified with the manufacturer, provider or party in question. This blog does not contain any content which might present a conflict of interest.